Firstly, our team came up with an organized and aesthetically-pleasing blog design. 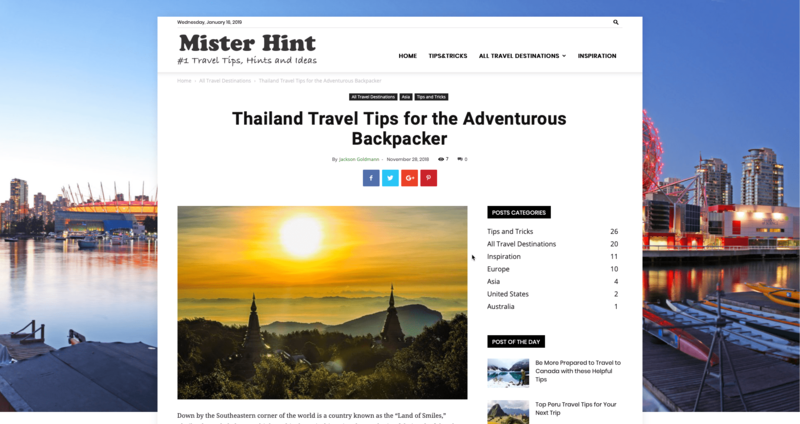 Mister Hint has a lot of information to offer so it is very easy for their audience to get overwhelmed, so we tried our best to avoid a cluttered blog design. One way to keep the users' attention for a long period of time in the blog is through enticing photos. 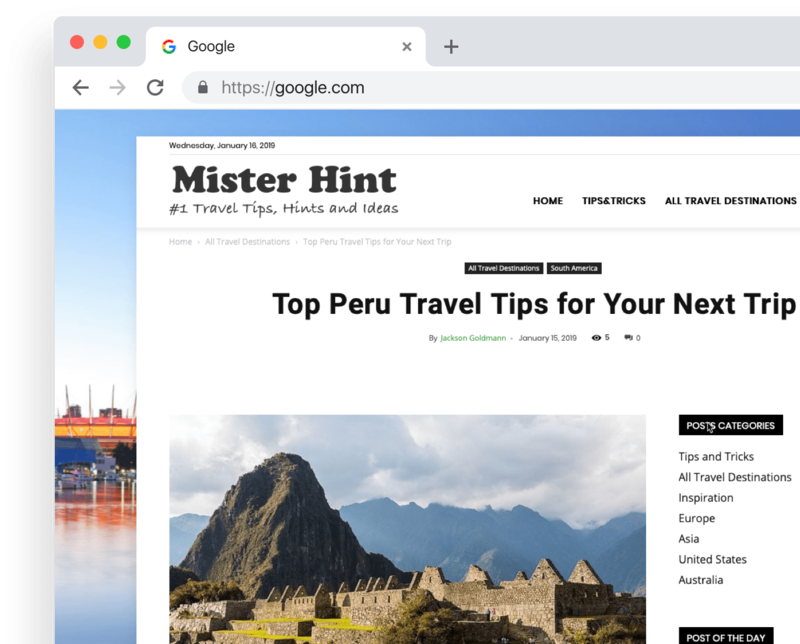 We incorporated photos of places, people and experiences to give Mister Hint's audience a glimpse of what the journey of traveling has to offer. Easy navigation is on top of priority as well. When you visit the blog, you can easily find the information you are looking for. For example, go to Tips & Tricks for reviews, deals and other things you need to know as a traveler that is not on other blogs and go to All Travel Destinations to learn more about a specific country if you already have one in mind. 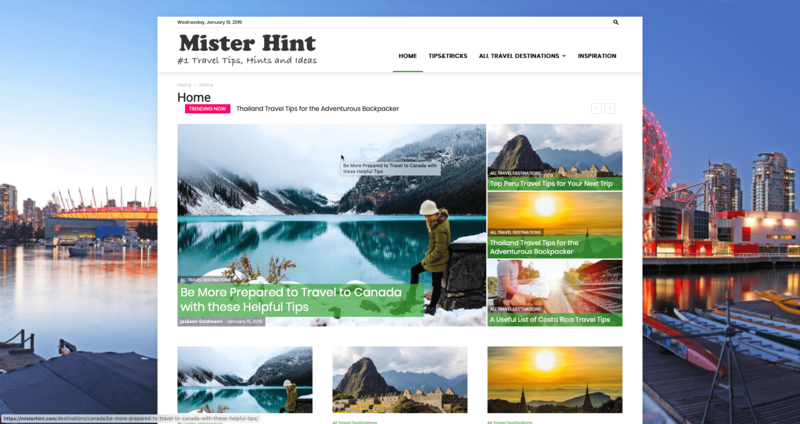 All of the aforementioned features make up the entire Mister Hint blog which loads and looks excellent on the following devices: mobile phones, tablets, and desktop computers. 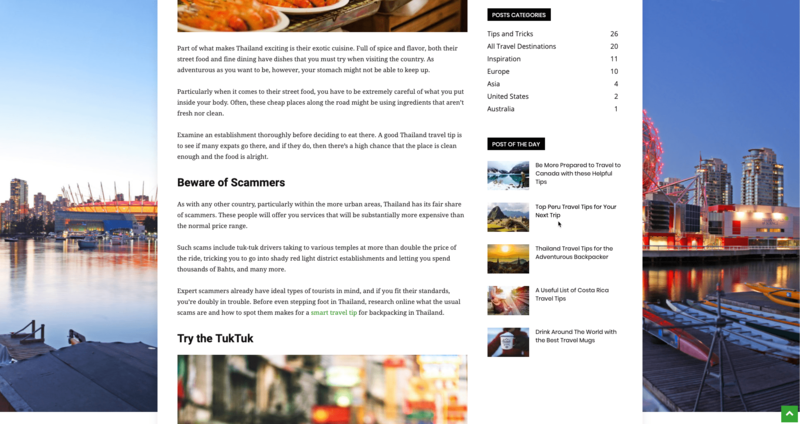 In this case, we used template base design and adapt it for travel blog need. Which allow us to save the budget. The Academy for Upserve Inc. Let`s Make Something Awesome!